Jung von Matt approached Mill+ with a highly inspiring creative script to explore the origins of the Easter bunny for Netto Marken-Discounts latest seasonal campaign. 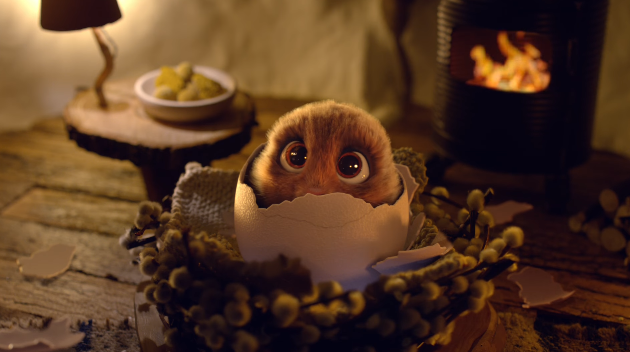 Set in a magical woodland world, the ad features a series of adorable hyper-real, animated creatures who take viewers on a journey through an enchanting and heart-warming story. 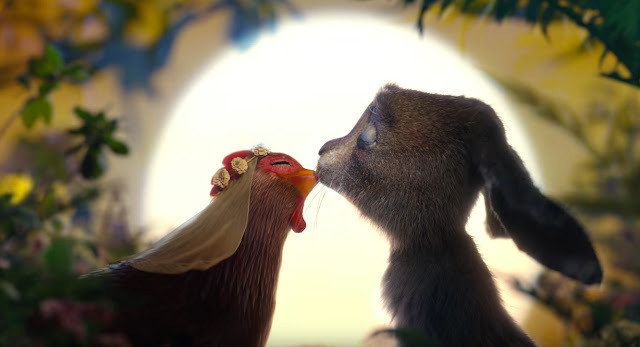 The depiction is of a hen and rabbit who give birth to an adorable young rabbit, who inherits the unorthodox ability to lay colourful Easter eggs. The rabbit has trouble fitting in with his fellow creature contemporaries who make fun of his unusual ability. Feeling dejected, he runs away to the human city in the distance, leaving his worried parents behind with nothing more than a newly laid Easter egg on his bed. He is soon picked up by a young girl and made famous in the human world, making headlines with the uniqueness that had previously left him feeling isolated. However, before long, he begins to miss his parents and his old world, leading him back to his family and providing the viewer with a fairytale, perfect ending. Working closely with highly skilled set designers, the Mill+ team created a custom-built forest set for the CG creatures to inhabit. The characters were then seamlessly embedded into the enchanted world. 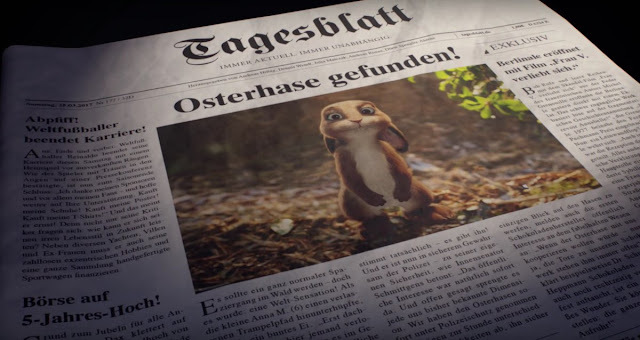 Mill+ Director Jimmy Kiddell explains, "I have a love of old fairy tales and spent a lot of time watching animated features with my kids, so when so when Jung von Matt approached us with this quirky script I knew we could make something special. We knew the characters would be created in CG but their location provided a different challenge. I have a fondness for puppetry and worlds with unusual scales so the thought of building the interiors and a forest in a studio was too hard to resist. The dense and fast paced story provided a great opportunity to explore a full range of emotions in the animation performance and I couldn’t be happier with the delivery from the animation team. The rendering and compositing is also superb and the level of detail and technical challenges were executed with a great sense of enthusiasm from all the people involved. I'm very proud of the finished result and everyone's efforts to make it the charming curiosity that it is." Dörte Spengler-Ahrens, Executive Director and Partner at Jung von Matt explains, "The Mill understood where we were heading and co-operated with us in an inspiring way. The strength of this story is that it touches on so many universal themes. That’s why we worked very hard to tell it in the most universal way; without dialogue and through the power of pictures." Mill Head Colourist Seamus O’Kane explains, "The intricate detail of the sets and the astoundingly subtle character animation are obviously crucial but designing the mood and atmosphere of this world and having that move sympathetically to the story was of paramount importance. We were working on the colour design before the characters were present so the final result represents a refinement of ideas and processes and a sharpening of intent. A wonderful project to be involved with."